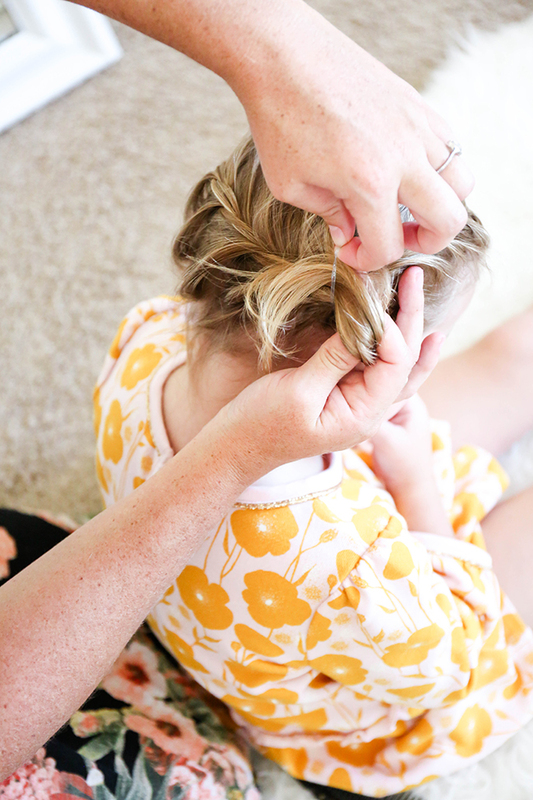 Doing my daughter’s hair can sometimes be a nightmare. She’s entered that “diva stage” where she tells me exactly what she wants. (Hello, ballerina buns.) I’m a bit exhausted with all the buns and pigtails, and this one simple hairdo seems to be a style we both agree on. 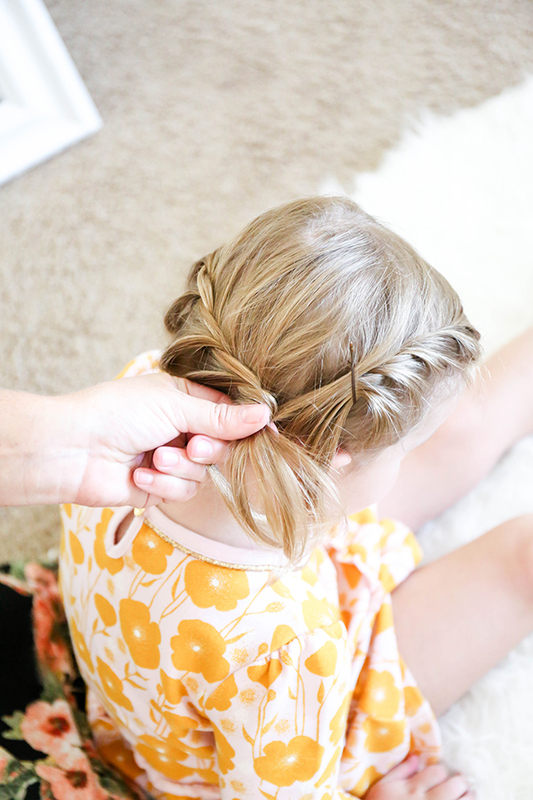 It looks like a braid but is so much easier! 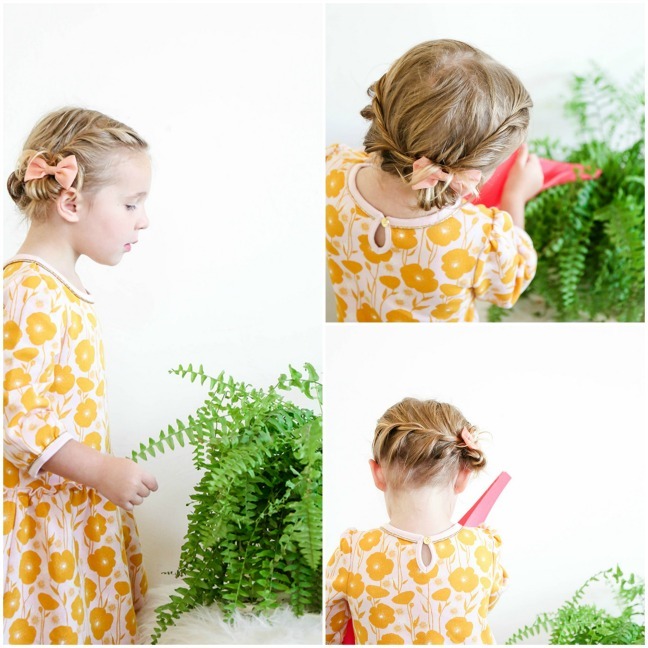 So grab the comb and some rubber bands and get that hair out of your toddler’s face with this easy toddler braid hack. Step 1: Start by combing out of all of those knots! Step 2: Spray a little hairspray to add some texture. 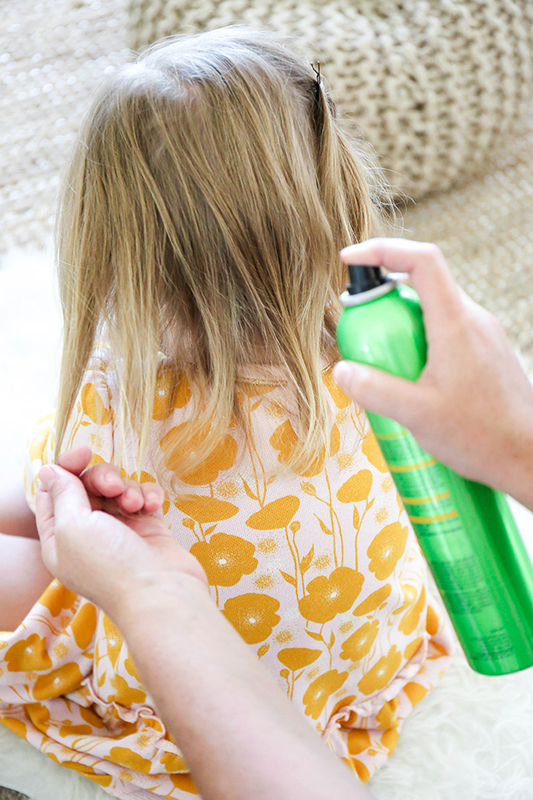 My daughter’s hair is still very fine “toddler hair,” so I add a bit of hairspray to help her hair hold the style better. Now it’s time to braid. Step 3: Starting on one side of the head, create two small sections of hair. Step 4: Pull the bottom section over the top. Step 5: Add a little hair to the NEW bottom section. Step 6: Pull the bottom section over the top. 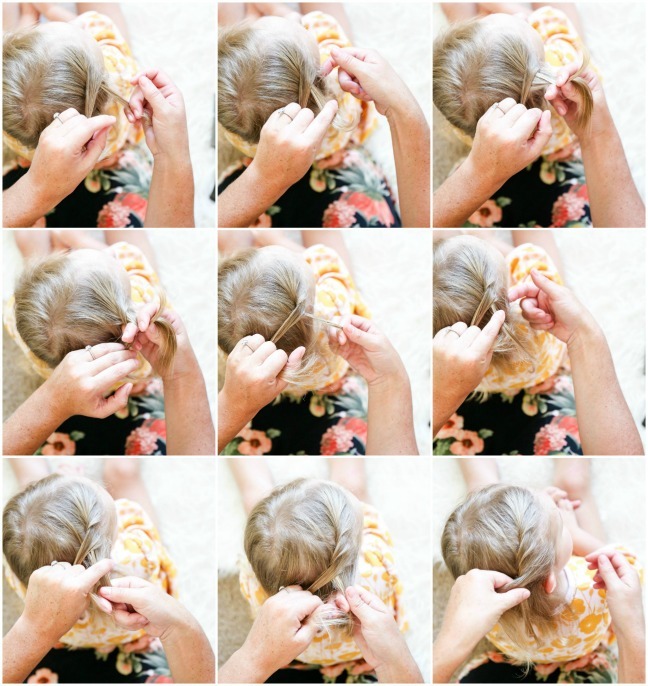 Step 7: Repeat steps 2–4 until you’ve reached just behind the ear. 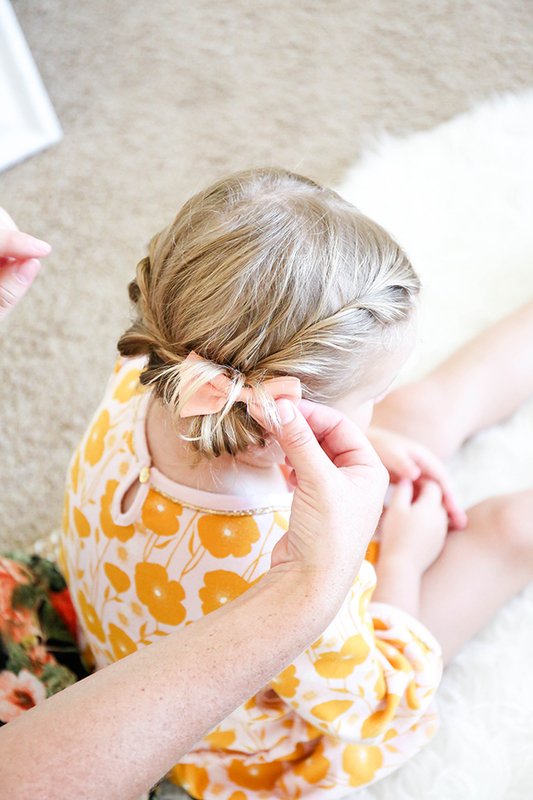 Place a bobby pin over the twist to hold in place while you do the other side of the head. Step 8: Repeat the twist on the other side of the head, working in the direction of the section you just pinned in place. 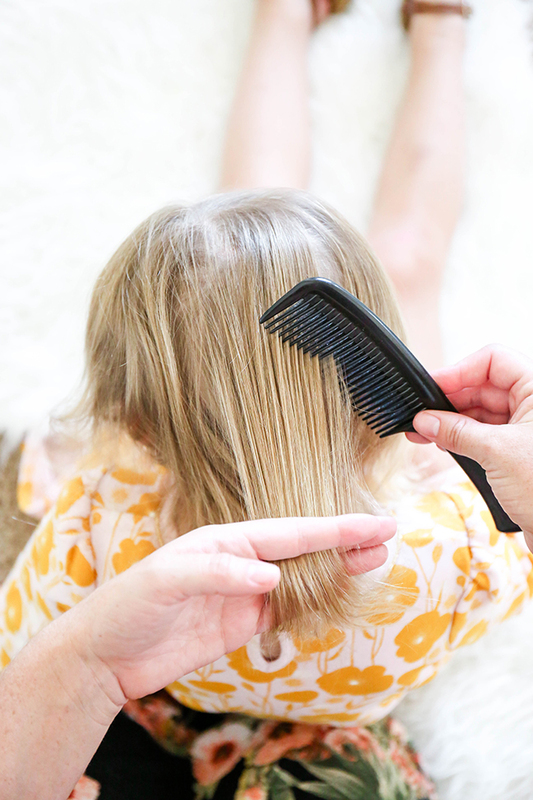 You only add hair to the bottom strand and only work with two sections at a time. 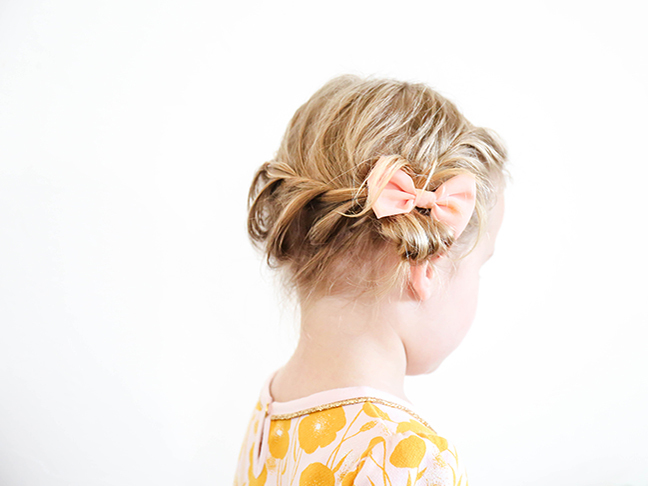 Step 9: After you’ve completed both sides, combine them by wrapping the hair in an elastic. 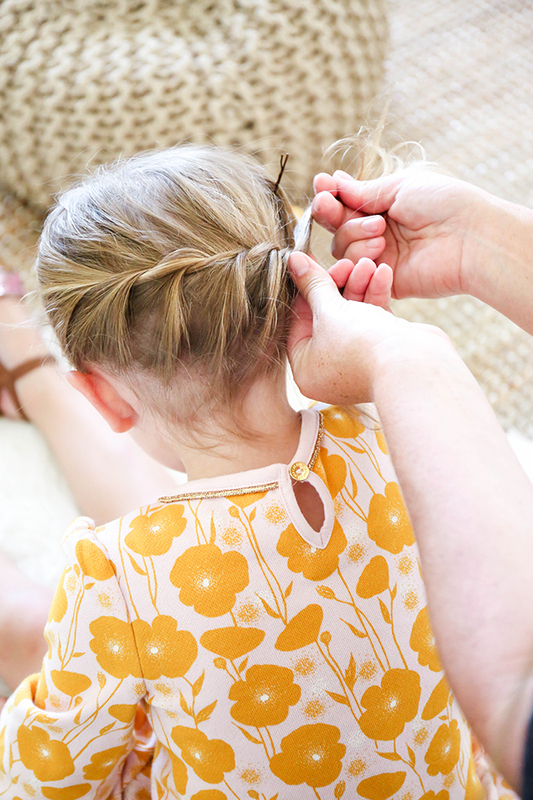 Once you’ve wrapped the elastic around two or three times, pull the hair halfway through and let go. 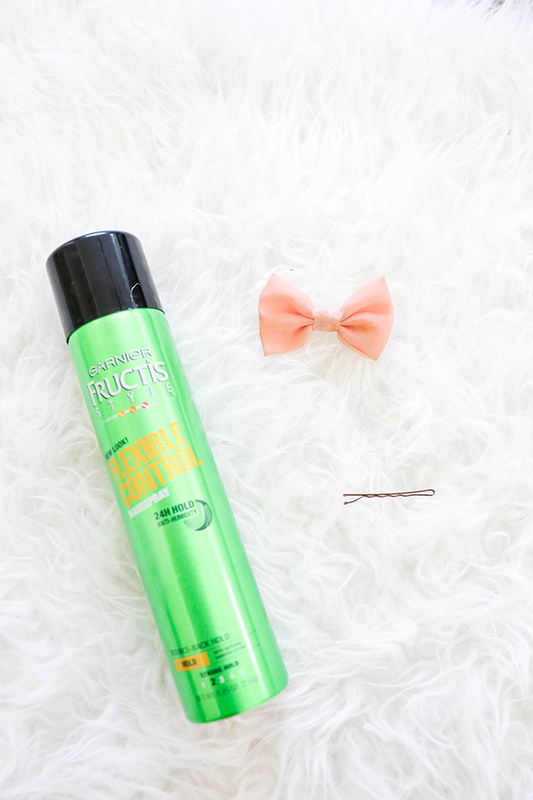 Step 10: Spray any stray hairs into place and spritz the ponytail, too. Step 11: Add a little bow to cover the elastic, and you’re done. 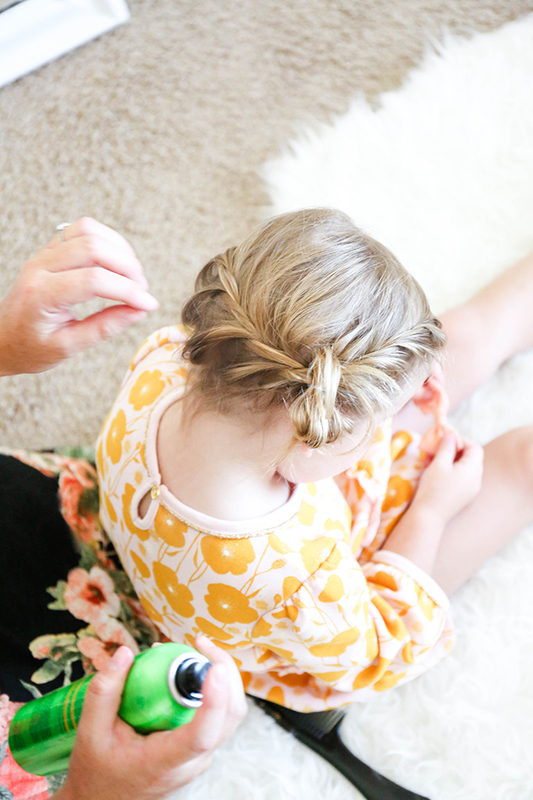 Braids can be a bit intimidating, so this style is a perfect way to dip your toes into toddler hairstyles. 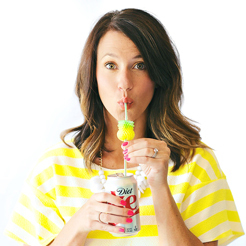 Once you’ve mastered the twist, you can create this style in a few minutes. 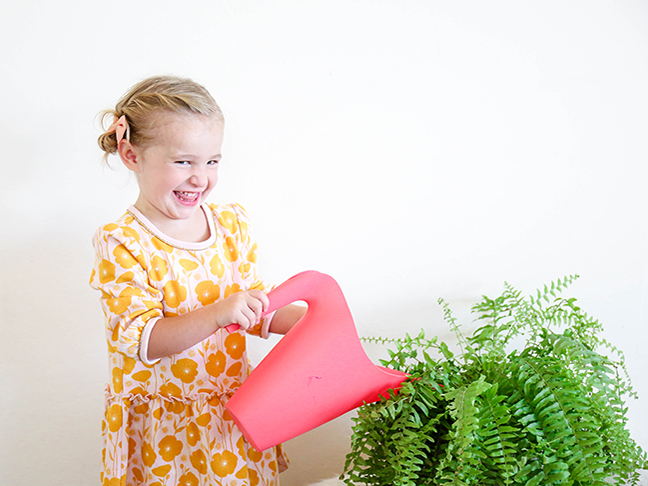 The end result is so darling, and it’s perfect for special occasions and everyday looks.